Their future can be in jeopardy. This is every bit as serious as an adult criminal prosecution. It must not be handled less seriously, only differently. The juvenile system of justice operates differently than the adult criminal justice system. Often times, children accused of crimes in juvenile courts are treated unfairly and their rights overlooked simply because of their young age. The successful defense of a juvenile case requires a thorough understanding of juvenile procedure and the ability to use those procedures to enforce the rights of children. We are respected for our ability to handle juvenile cases and Judges in the juvenile court system respectfully and seriously treat any matter in which a child proclaims their innocence. Our experience and knowledge in this area of the criminal law allows an accused child to be treated fairly and properly and to limit the impact of a potentially life changing situation. 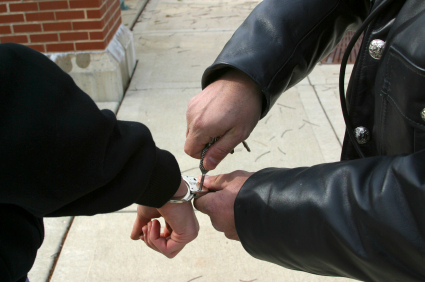 When a juvenile is accused of a crime, the criminal process is very different. The juvenile crime is called an act of "delinquency" and requires juvenile court intervention to correct the delinquency. Juvenile courts have their own special rules and procedures. Juvenile rights are different from adult rights. For example, juveniles do not have a right to a jury trial. Nor in many cases do they have a right to a public court proceeding. Notwithstanding, juveniles are entitled to have a full notice of all charges against them, the right to a fair hearing, and the right to confront hostile witnesses. Since a judge, not a jury, will determine the fate of a juvenile defendant, it is common for the court to favor "rehabilitation" over "punishment". The jurisdictions vary widely on the quality and types of rehabilitation offered. The choice of options range from incarceration to participation in community service activities. If incarceration is chosen, the juvenile, in most cases, must be released no later than his or her eighteenth birthday. The youthful offender sentencing program is not part of the juvenile court system. When a juvenile is convicted of a felony crime in which he or she is being treated as an adult, the court has the authority and discretion to sentence that child as a youthful offender. A youthful offender is usually placed in the custody of the Department of Corrections. The maximum amount of time the child can remain in custody is four years. In addition to that time, the court has the authority to order the child to serve an additional two years of supervision following release from custody. The maximum period of time under the youthful offender program that a child can be imprisoned or supervised (or both) is usually a total of six years. The court has the discretion to divide these six years into any pattern it believes is both appropriate and in the best interest of the child and society. A child treated as a youthful offender is handled differently by the prison system. In many cases, it is a helpful way to avoid mandatory prison sentences. Youthful offender sentencing, when appropriate, can be a tool that helps not only the individual charged with the crime, but also society in general, by giving young people a second chance and an opportunity to prove that they are not going to continue a life of crime. Normally, parents aren't financially liable for the negligent or clumsy acts of their children. Courts seem to recognize that parents cannot prevent most accidents and mishaps of childhood. However, parents may be liable if the injured person can show that the parent's failure to supervise the child directly caused the injury. Willful misconduct - including defacement of property with paint or a similar substance, liability is limited to medical, dental and hospital expenses. Any injury inflicted with a gun that a parent let the child have or left where he or she could get it. Willful misconduct that results in injury to school employees, other pupils, or volunteers, damage to school property or damage to personal property belonging to school employees. Parents are also liable for any school property loaned to a student but not returned. Grades, diplomas and transcripts may be withheld until any damage is paid for. Stealing merchandise from merchants, or books or materials from libraries. Parents are liable to a merchant or a library facility for damages, plus the retail value of the merchandise or fair market value of the books or materials, plus costs. A parent may also be financially responsible for graffiti created by his or her child. The city or county where the graffiti is located may even place a lien against the property of the child's parent or guardian in order to recover its cleanup costs. People who have been harmed by the carelessness of a child usually sue the child's parents because the child has no money. However, children can be sued for their own careless acts in a personal injury lawsuit. A child will be held liable for his or her action only if the court determines that he or she was capable of knowing that it was wrong at the time. Also, the court will take the child's age into account when determining liability; what may be unreasonable carelessness for a teenager may be acceptable behavior for a preschooler. A criminal conviction at a young age can change the course of a person’s life. It can seriously damage career prospects or even lock them out of entire professions. Because the consequences can be grave, juveniles facing serious criminal charges need the best and most effective representation possible. Juvenile crime cases can also result in disciplinary or expulsion actions against juveniles by high schools and colleges. We can represent juveniles in these situations to minimize the effect on the child and the child's future. You may believe that because your child is young, he or she cannot be punished with "adult" sentences such as jail or prison. This is no longer true. If your child is accused of certain crimes, he or she can be charged, convicted and sentenced as an adult even if he or she is very young. This is usually true of violent offense or serious felonies, but it may apply to other crimes as well depending on the circumstances. It is vital that juvenile crimes remain in juvenile court. Cases in juvenile court generally remain sealed and confidential. If your child goes to adult court, the case can be made public and part of his or her permanent record. Cases in juvenile court offer more lenient and creative sentencing alternatives. Your child can be offered counseling and community service. If your child goes to adult court, jail is a more likely alternative. If your child does not plead in juvenile court, there is the opportunity to go to trial, present evidence and challenge the prosecution's case. At The Sheena Law Firm, we understand what it takes to mount a successful challenge to a juvenile case. Contact us today to discuss your child's situation.